Blogging has opened a whole new dimension of sending our message across to the world. Anyone can start up their own blog and practically anyone around the world with the internet can be reached by your blog. It’s a wonderful thing but what makes it even more wonderful is the fact that you can actually even earn money. WordPress has many plugins that can help you in monetizing your website. 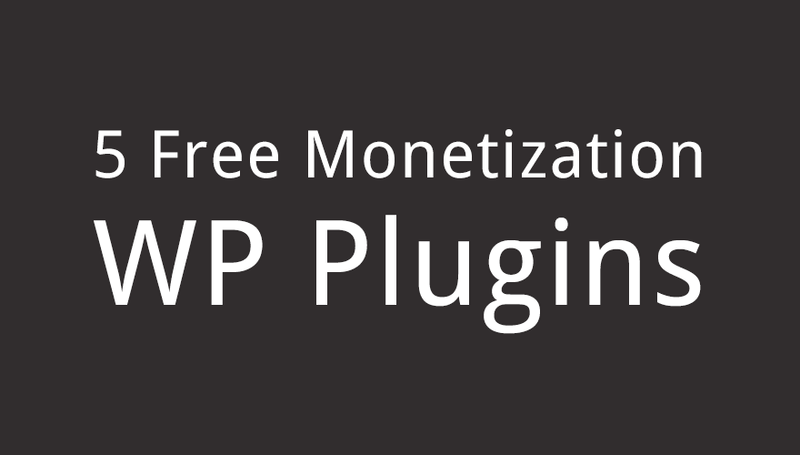 Here are just 10 of their most preferred plugins for monetization. WP Simple Adsense Insertion makes it easier for anyone to insert their Google Adsense to their blog’s posts, sidebar and pages. It works with WordPress’ latest version. Installation is quick and easy. Just simply unzip then upload the folder to the plugins directory of your WordPress content then activate it in the plugins menu, copy then paste the code of your Google Adsense by going to settings then configure then add [wp_ad_camp_1] trigger text to any page or post where you want your Google Adsense to appear. That makes it much easier than many of the other WordPress plugins for Adsense insertion. You can use Ad Injection to add any type of advert to your blog whether it’s Google Adsense, ClickBank or something else. You add the advert to your content’s pages or posts and control the number of adverts on the length of your post and you can even set a restriction on the IP address, referrer and post age. You can set the ads to only be shown to visitors coming from search engines or from other referring pages. You can also block referrer pages by adding the URLs you wish to block so ads will not be shown to visitors coming from those URLs. The Ad Injection plugin is not just for injecting ads but it can also be used to inject practically anything to your content. You can inject tracking scripts, buttons for your Facebook, Google+, Twitter, Tumblr or any other social networking sites you wish to insert to your blog. Cleeng is the best monetization plugin for those who want to sell images, articles, videos, and others by selling single items or by providing users with subscription or daily passes to your WordPress blog. It’s so easy to install and it’ll just take 5 minutes of your time. You can set it to protect your articles for hours or days as you want. You can even protect part of your contents such as videos, images, articles and downloads. They provide a total of 55 payment methods so you will not have any problem accepting or sending payments for the contents being sold. You can accept credit card payments, PayPal and even local payments. One of the best ways to finally earn from your contents. AdRotate is another great free plugin as it lets you put as many ads as you want to your website which lets you earn even more money. It will show random banners or several banners to your website as you wish. You can easily edit banners or delete and renew ads to your website. It features geolocation, works with Google Adsense, trackers to give you information about the number of times ads are exposed on your site and how many times ads are clicked. It even allows the advertisers to contact you directly. If you want to get the most from Ad Rotate then you can get a premium plugin that offers you an even faster support plus even more great features. You can go for the Single, Duo, Multi or the Developer Pro version depending on your needs and the number of websites you manage. Last but not the least you can also use the BuySellAds plugin. Your Buy and Sell Ads code can be inserted through widgets or you can insert them manually. It’s great for those who want to earn a few extra ads through BSA. There are many other WordPress plugins that helps you monetize your blog that you can try. There are free and premium plugins that makes blogging a lot easier and more fun for bloggers so give them a try and find out which ones would give you the solution you really need. Whether you agree or disagree with my top 5, what plugins and tools do you suggest for WordPress users? What tools do you recommend for non-WordPress sites? I’d love to hear your input!